Human safety is one of the primary concerns in the mining industry today. Many industry players are now addressing safety issues by automating processes previously done by humans to help ensure the protection of workers. Automation, or the use machines and other control systems to achieve tasks otherwise carried out by people, is becoming commonplace in mines around the world. Automation gives mines greater control over their production processes and, as a result, allows them to produce a higher quality finished product. Most importantly, automation is making mining safer for workers in a number of ways. Mines can be dangerous environments; poor air quality, confined spaces and lack of structural integrity are just a few examples of safety hazards faced by mine workers every day. However, there are a number of ways in which the use of automated processes can reduce or mitigate these dangers entirely. Automating mining processes allows the mine environment as a whole to be more tightly monitored. In doing so, the previously mentioned hazards, such as air quality, can be assessed quickly and with a great degree of accuracy, if and when dangers to workers arise. In addition, automation allows for the machines themselves to be monitored more closely for issues such as signs of wear and tear. These problems can then be diagnosed and resolved before they become potential safety hazards to human workers. The adverse effects of mines on their surrounding environments, such as water contamination and air pollution, are well documented and have been a contentious issue for the industry. However, the greater degree of control over the mining process offered by automation allows mines to assess their environmental impact more accurately. By more closely controlling the production process, some environmental effects can be reduced or eliminated altogether. Limiting waste produced by the mining process and reducing emissions caused by the unneeded operation of equipment are just a few of the ways in which automated technology can help mines to become greener. When parts of the mining process are automated, fewer human workers are required. As a result, fewer workers are exposed to the potential hazards found in a mine. Automation also ensures that tasks are completed correctly and consistently every time. As a result, the “human error” factor caused by the incorrect operation of a machine or a lapse in attention can be eliminated. In the past, single machines may have required multiple human operators, greatly increasing the chance of human error. However, by automating many of the same tasks, fewer operators are needed, the risk of injury is lessened and operation itself becomes much simpler. Automated technology such as remote controlled drones and robots can be sent, in place of workers, into hazardous areas to assess safety hazards. Drones equipped with cameras can look for potential hazards such as cracks in rocks. Furthermore, these drones can be used to gain access to areas not easily accessible to humans, such as flooded or confined spaces. Drones can also be used for emergency purposes. Robots can be used to find trapped workers in the case of tunnel collapses and in some cases, are designed to carry food and supplies to these people and even to transport casualties to safety. 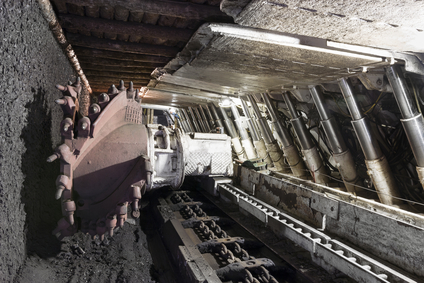 Automated technology can serve the mining industry in many ways. Perhaps most importantly, automation allows mines to increase the safety of their employees. Whether by lessening a mine’s environmental impacts, simplifying the operation of machines or aiding in search and rescue operations, automation addresses the issue of worker safety in mines and helps to improve overall operations.